Dental implants are the prime solution for replacing missing teeth! If you are suffering from tooth loss or severe tooth damage, we welcome you to Center Point Dental for high-quality care. We invite you to schedule a dental implants consultation free-of-charge! Our dentists will look at your smile objectively and answer all of your questions about dental implants. Together, we will decide if dental implant placement is a step in the right direction for you. Please read on to learn more about the advantages of dental implants, or call Center Point Dental to schedule your free consultation today. 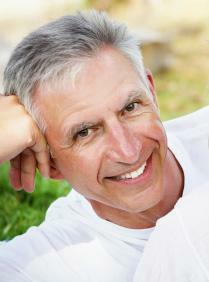 Why are so many patients choosing dental implants over dental bridges and traditional dentures? Dental implants prevent structural changes to the jaw. Implants are used to replace the roots of missing teeth. Once they are accepted by your jaw as the new tooth root, they stimulate the jaw to keep it healthy. Dental implants are the only tooth replacement option that protects patients from jaw shrinkage and collapse. Dental implants are the most dependable foundation for new teeth. Because dental implants are anchored into the jawbone, your new teeth are a lot like true teeth. They stay in place reliably when you chew, speak, and smile. You will never have to worry about placing denture adhesive or checking on your shifting teeth. Dental implants provide ease of care. Patients can brush and floss their dental implants just like their natural teeth. No big changes are necessary to enjoy the perks of dental implants. Dental implants can last a lifetime. With diligent oral hygiene and regular dental appointments, many patients find that their dental implants last the rest of their lives (much longer than any other tooth replacement option). You won’t believe how real your new smile looks and feels with dental implants.